Went to log into forum on my home computer but blocked due to being a Deceptive Site. Can still access on phone. @Admin can anything be done to sort this? 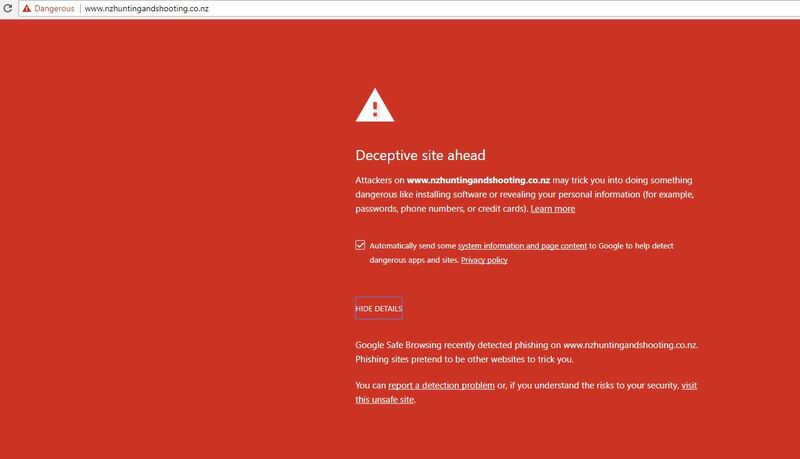 This web page at www.nzhuntingandshooting.co.nz has been reported as a deceptive site and has been blocked based on your security preferences. Got the same thing too, bloody annoying when trying to open multiple tabs. You can clear it by clicking details and then clicking on the link near the bottom saying go through to unsecure site. Same here. Is it safe to bypass the security on the PC though? Works on the phone with no warnings so maybe its a false alarm? Same. 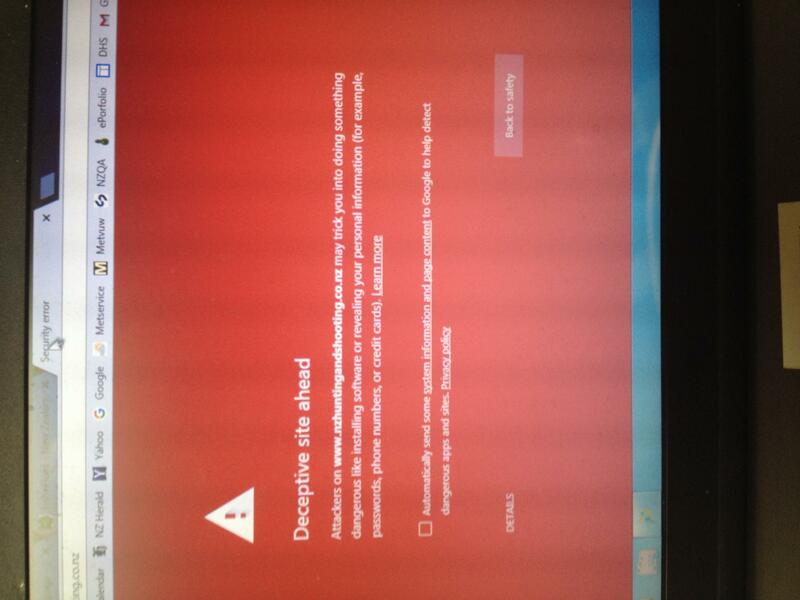 I just turned off my dodgy site warning in my browser security. Same here. Went to bypass the warning. Added site to trusted list. Now i just get a err_connection_reset. Site cannot be reached. Am i going to have to work this morning? I can't seem to get Chrome to trust the website in security settings either. Any ideas on how to fix this?